Doing something new and different sounds exciting. But it’s almost never easy. In fact, it can be downright lonely as you work to convince the world of the beauty and wonder of your great idea. It’s always harder than it seems in real life. Whether you’re launching a startup or creating a new approach to a persistent problem, it takes more than a passionate speech to get buy-in from influential champions for your cause. If it’s new, it’s unproven. And risky. And no matter how much you believe in it, your passion will only take you so far. So, how can you win over customers, influencers and decision-makers for something that’s never been done? I had the privilege of building a company from scratch, so I’m very familiar with the inevitable challenges of launching something new. And my good friend Lauren Wesley Wilson founded ColorComm, a business community for women of color in the communications industry. So, we sat down recently to talk about what it takes to go from unproven to unprecedented success. Here are 6 takeaways from that conversation you can apply to your own launching pad. 1. Meet an unmet need – This is one of the best places to start when thinking up new concepts, so look for the opportunity to position your idea in this way. Show how your solution delivers something unique, or how you can do it better, faster or cheaper than an existing solution. Lauren saw that women of color lacked opportunities in the communications industry. While supporting women in business isn’t new, focusing on women of color is. Lauren developed a vision for ColorComm, shared it with others and generated a lot of interest for meeting an unmet need. Lauren used that feedback to develop new services for members that led to more business opportunities, advanced programming, and a talent initiative. 3. 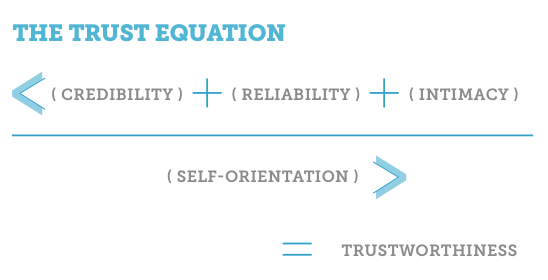 Earn trust – Overcoming the skepticism of others is one of the biggest obstacles when launching something new. Demonstrating your credibility and reliability is particularly difficult if people don’t know you or haven’t worked with you. They’re taking a chance on you, not just your product. Each of these factors is critical to earning trust, but reliability can be particularly important if you don’t have a long track record. If that’s the case, start with a smaller ask that has a quicker payback and then deliver an early win. In the early stages of launching her big idea, Lauren said she focused on showing others they could count on her, that she could do the work, and that she had staying power and determination. 4. Move with speed – In the early stages of a project, move quickly to seize opportunity, especially when the competition is stiff. This requires you to be available, responsive and accessible. In the early years of Mitchell Communications, we often turned projects at breakneck speed – sometimes overnight, if needed. This was a competitive advantage because our competition, while more established, was too big and too slow. Lauren said that type of agility also helped her build an effective team, earn sponsorship support and recruit top executives for her board. 5. Deal with “no” – There are those who simply won’t share your confidence in your idea, and that can be hard to take. That’s why founders and innovators must be resilient and thick skinned. Your intuition – Follow your gut. There are times you will just know it is the right thing to do. Balance your emotions with reasoning – There are times you will want something so badly. But some of the most important factors — like timing, audience, resources – aren’t there yet. In that case, you must be patient and wait for a better opportunity. What’s the best piece of advice a mentor ever gave you?